ST. GEORGE – On Dec. 17, at Arlington National Cemetery as well as at 1,100-plus cemeteries across the United States, Christmas wreaths will be laid at the graves of military veterans. Ceremonies are held in all 50 states including two in Washington County; at Tonaquint Cemetery and at the Shivwits Band of Paiutes Cemetery. As the Christmas holiday approaches organizers in Washington County are seeking funds to help pay for enough wreaths to decorate the grave of all the veterans in both cemeteries. Wreaths Across America is a nonprofit organization whose mission is to honor fallen United States veterans, remember those who serve and teach the value of freedom. It is a mission that Lester Joslin, an Air Force veteran and chairman of the Southern Utah Wreaths Across America through the St. George Composite Squadron Civil Air Patrol, takes to heart. “I think it’s critical that we remind our youth of the service that the veterans put into this country to make the country what it is,” Joslin said. Honoring veterans both living and deceased is a major focus for the Civil Air Patrol, Joslin said; one he hopes extends into the community abroad. The Wreaths Across America efforts are an integral part of teaching the younger generations how important it is to honor those who gave service to the United States, Joslin said. But the efforts are not without their difficulties. Joslin said over the last couple of years they have been able to reach their goals thanks in large part to major donations by Rep. Don Ipson and the Daughters of the American Revolution Color Country Chapter who work hard to raise funds for the wreaths. But with an estimated 100 extra veteran’s graves to decorate this year, an additional $1,500 at the very least will be needed. And that is only for the two cemeteries that hold ceremonies. It is Joslin’s hope, he said, to one day be able to decorate all the veteran’s graves located in the St. George Cemetery as well. Currently there are over 800 veterans interred at the St. George Cemetery, he said. Fundraising efforts are underway for this year’s Wreaths Across America Ceremonies. A barbecue fundraiser will be held Saturday from 11:30 a.m. to 2:30 p.m. at Zion Harley Davidson, 2345 N. Coral Canyon Blvd. in Washington City. Food will be available to purchase as well as bake sale items and tickets for an opportunity drawing. West Coast Jazz will be providing entertainment. Additional fundraising efforts will take place both through scheduled fundraisers, which are still in the planning stages, and through the grassroots efforts of going directly to businesses and members of the community seeking donations. Though the ceremonies currently only take place at two Washington County cemeteries, the Daughters of the American Revolution Color Country Chapter is accepting direct donations for those wishing to place a wreath on the grave of a veteran in the St. George Cemetery. This can be specially arranged by contacting Daughters of the American Revolution Color Country Chapter member Valerie King at 435-703-9560 or valerie777king@yahoo.com. Donations are being accepted on an ongoing basis but those wishing their donation to be used for the purchase of a wreath for this year’s ceremony need to have that donation in by Thanksgiving Joslin said. Additionally, in order to ensure that your donation is used to decorate the grave of a veteran located in the two Southern Utah cemeteries the donation should be made to Joslin directly and not through the national program. Though donations made through the nonprofit’s headquarters are appreciated and the wreaths will be laid at the grave of a veteran there is no way to determine which cemetery the wreath was placed in. To make a donation contact Joslin by telephone at calling 435-668-0749. What: Barbecue Fundraiser for Wreaths Across America. When: Saturday, Oct. 15, 2016, 11:30 a.m. to 2:30 p.m.
Where: Zion Harley Davidson, 2345 N. Coral Canyon Blvd., Washington City. Cost: No cover; food, bake sale items and opportunity drawing tickets vary; donations accepted. 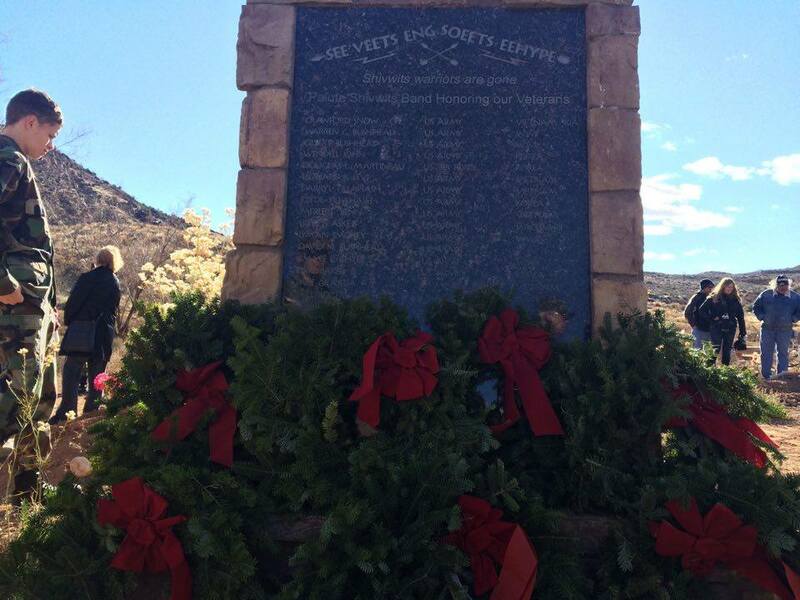 Additional information: To make a donation to Southern Utah’s chapter of Wreaths Across America call Lester Joslin at 435-668-0749 or contact Valerie King at 435-703-9560. Donations are accepted continually but those wishing their donation to be used for the purchase of a wreath for this year’s ceremony, donations need to be made by Thanksgiving. This is a great article to bring attention to a very worthy cause. it’s a time consuming project but it’s rewards are to those that have fallen and their families by letting them know that their fallen family members are Americas hero’s and we will not forget. if you can donate please do. Praise the Lord !